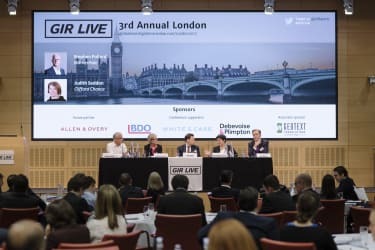 GIR Live London - DPAs: the new normal? The UK's Serious Fraud Office has so far secured four deferred prosecution agreements. 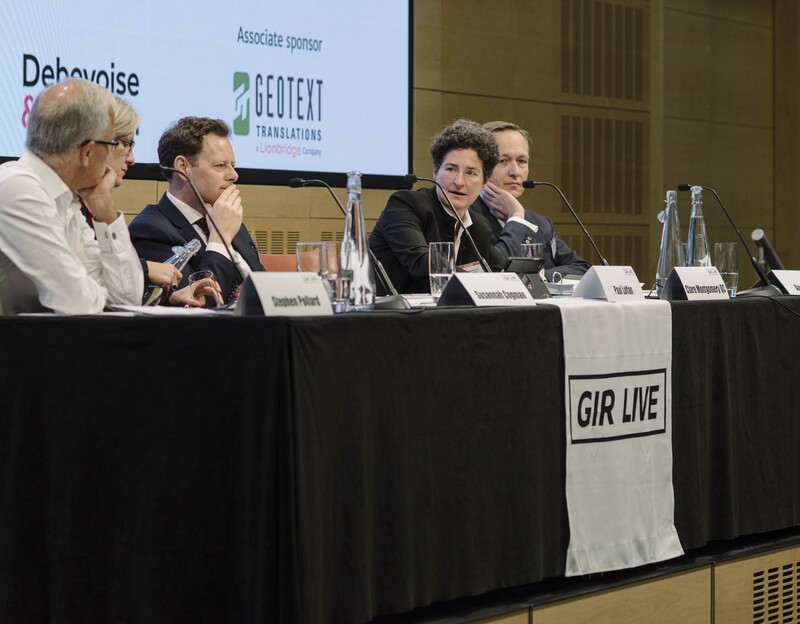 Panellists at GIR Live London in April were asked whether these settlements jeopardise the rights of individuals and whether "adversarial" is a dirty word. Pollard: The SFO [UK Serious Fraud Office] has previously said that DPAs should now be considered the "new normal". 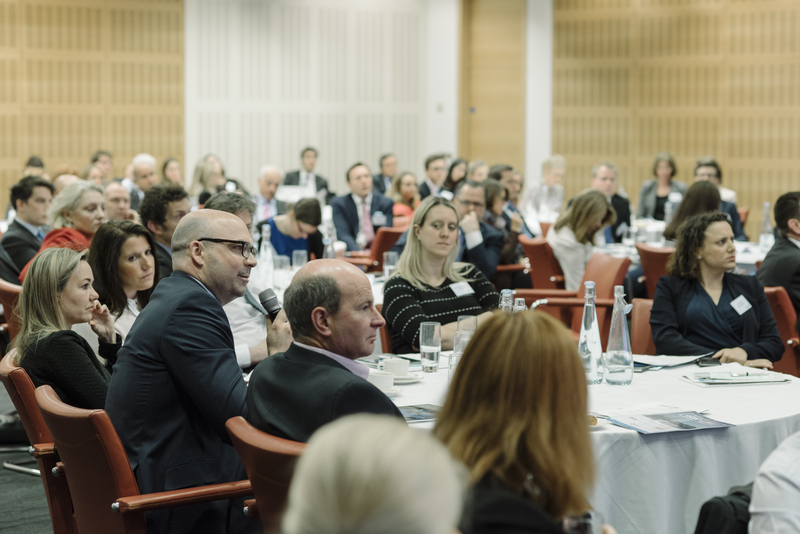 Does the panel agree that we're now in a state where DPAs are the new normal? Milford: I think that's a quote from Ben [Morgan, the SFO's outgoing joint head of bribery and corruption]. He and I spoke about that particular quote last week and he was at pains to emphasise to me that you needed to read it in context. The point he was making was that if a company engages in a cooperative manner, then yes, that corporate may be eligible for a DPA, but prosecution remains an option for companies that choose not to engage and not to cooperate with us. So, yes, let's have the discussion, but I think it's important to clarify that point first. Montgomery: I would be very surprised if DPAs became the new normal. I can see the argument for DPAs becoming the new norm in debarment cases, where conviction has serious or ultimately devastating consequences for companies, but in non-debarment cases prosecutors still have to prove wrongdoing at a sufficiently high level. That is and remains a rarity in SFO cases. Why would you want the new normal to involve admitting guilt in circumstances where the company may not be guilty? Secondly, in non-debarment cases, what's a DPA really worth? The answers is 16.666% (from the 50% DPA discount). A company could just as easily tell the SFO "I will plead at first opportunity and I'll take my 33% fine reduction for an early guilty plea thank you very much and you won't be able to prove half as much against me". So I don't see it as the new normal as it depends on each case. Pollard: Can we just feed into that analysis? Monitors have been very active in the States, although one hears that the courts over there are slightly falling out of love with the arrangement. What does the panel think we're likely to see in terms of monitorships? Is a monitor something the SFO feels strongly about? Montgomery: It seems to me that appointing a US-style monitor to do some sort of wide ranging exercise is not only painful for the company, but also could uncover more problems for the corporate in the long run. What if the monitor finds some additional issues at the company? What if the monitor hands a report on that to the SFO? Where does that leave the DPA? I think it would be a real challenge to figure what the next steps would be in that sort of scenario. Milford: Two things leap up to me in the DPA judgments: that cooperation and openness is rewarded and that the court will not give DPAs to corporates that will reoffend. Therefore, what will form an integral part of any DPA discussion is the question of corporate reform. As such, monitors aren't something the SFO has set its face against, but as we've seen from the judgments, there are different ways of achieving that sort of process. What Standard Bank did to reform its corporate culture is different to what Rolls-Royce did in appointing Lord Gold [Conservative peer David Gold] to review its anti-corruption procedures. We're interested in having companies tailor it, as far as possible, to what we think is going to be effective in achieving rehabilitation. Laffan: Most of the focus in the DPA judgments seems to be on cooperation and privilege, when actually what companies are seeking to do is to change behaviour and prevent misconduct reoccurring. From an in-house perspective, it would be great to see a greater emphasis on remediation as opposed to simply the cooperation in the judgment, although that is of course very important. Cogman: There is always a lead-up time to the point where the SFO are able to say that the evidentiary threshold has been passed or will be passed. Inevitably, that will give companies enough time to demonstrate that they are serious about addressing what has emerged in the course of the investigation. The judge will be interested in seeing what the company has done to remediate and will be very interested in the systems and controls and the changes in personnel that have taken place before granting a DPA. Milford: I agree. Look, I don't advise companies, you do, but as a consumer of your work, it seems to me that if you've got a cooperative company that has discovered potential wrongdoing and that wishes to engage constructively with us you have a few things to think about. The first is how you are going to define the relationship with the SFO and what are the mechanisms by which we're going to pass information to it? 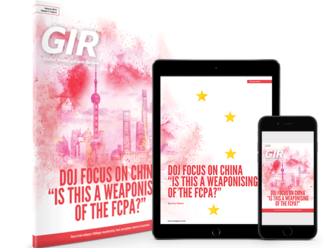 The second issue is how are we going to manage other risk such as civil litigation? Then the third issue - which I'd assume is prominent in people's minds - is how on earth we ensure this doesn't happen again. Rehabilitation is an issue which is there from the very beginning of the DPA process. So by the time you come down to have DPA negotiations plainly a lot of thought has gone on within the company about what needs to be done. That obviously is something which we're very interested to learn about, so that when it comes to agreeing what the appropriate measures are we don't unpick stuff that's already been done. Judith Seddon: In the US they appointed Hui Chen as a sort of compliance guru at the DOJ. Can you ever see that happening at the SFO? Milford: I think we're holding fire on that, Judith. We're interested in what they're doing and we're keen to understand how the DOJ thinks that has impacted on its work, but no plans at present. An audience member: If a company relies on its right to assert privilege, is that company cooperative in your view, or does it knock it off that platform? Pollard: We did quite well there. We had about 13 minutes before we got to the topic of privilege. Milford: We want information about what went on. We're not interested in the advice which flows between client and adviser. We're interested in information about what went on and the criminality which we are investigating and there are a variety of ways in which that information can come to us. It can come through passing material to us that isn't privileged and it can also come when a company decides to waive privilege on information. The question of whether a company waives privilege is not what is important to us. What is important to us is whether the company was open with us and gave us the information which we need in order to be able to fulfil our statutory functions. Cogman: I can see how that works in a criminal investigation context, but in a civil litigation context it becomes more complicated. In that context a company has privileged material, which would be prejudicial for the company to waive privilege over. From a company's perspective, passing you that information would involve a waiver and would prejudice its position in other civil litigation. Where does such a company weighing this stand in terms of cooperation? Milford: I'm going to come across as heartless, but the SFO is still interested in that material. If it is important to us in our investigation, it's important to us in that investigation. With all due respect I would say that it's up to a company to decide what its priorities are in that context. A company has a number of decisions to take about how it's going to handle things going forward. To a greater or lesser extent it's been an issue in the cases we've had and each time we've been able to find a way through to achieving a level of cooperation with which we were content and the company was content. It's very fact specific and I feel your pain, but it's for your clients to make that decision. Cogman: I appreciate that, but to clarify, there will be circumstances in which cooperation from your perspective does require a waiver of privilege? Milford: I come back to my answer again - it's about the openness. Pollard: Can I just ask, what scope is there do you think safely for a so-called limited waiver privilege in the UK? Montgomery: Well, at the moment, the law in the UK is relatively clear. The problem is how that's managed going forward in a case which actually does go to trial. The problem with privilege and the maintenance of privilege where you've got a "crime not civil waiver" is that if the material comes into the public domain in the trial it ceases to be confidential and the privilege is lost. However, there is a real scope for a limited waiver of privilege being effective in circumstances where the company is going to end up in a DPA. It's very unlikely in that scenario that the privileged material is going to come into the public domain. So, I think in practice there's a lot of protection in DPAs. The real worry is what status that material then has in the US. The common law world is pretty consistent in recognising limited waivers, but the civil world and the US is not, so you've really got to think about the greater risk. It's all fine and dandy when you're settling with the SFO, but what if you're actually doing something that will create fuel for an investigation in India, China, the US and France? All you've done is just pour a whole load of paraffin on the fire. Pollard: That brings us back to the question of cooperation because a company in that situation will be looking for reassurance that it can cap its risk elsewhere by entering into a DPA and we've seen recently, in the Rolls-Royce DPA, that by entering into such a settlement, the company also resolved US and Brazil investigations. Milford: Plainly there was quite extensive engagement in terms of making certain that there was one place where this was going to be dealt with in the Rolls-Royce DPA. So yes, we're aware of the point Clare Montgomery makes and we do try to address it. One of the benefits, I would suggest to you, of engaging with us is that we can coordinate our investigation with other authorities. Laffan: From my perspective, it's good news that the SFO has such a good relationship with other authorities. Company boards want certainty. They want to know how much it's going to cost them and when it's going to end, and, of course, those aren't easy questions to answer. But if you know that when you engage with the SFO it will coordinate with other authorities, the case has some certainty to it and I think that's a positive step. Pollard: I'm keen to ensure that we take full advantage of the fact that we have three people on the panel who have had practical experience in completing DPAs. Can you give us a sense of the contact between the lawyers and the SFO? Did you get to the point where you were speaking almost every day? Did you meet regularly? Give the audience a sense because the overwhelming majority of the audience will not have been involved in this process - though everyone, no doubt, lives in hope of being involved in that process soon. Milford: There are two key things to point out. The first is that if you decide to engage in constructive engagement, then contact between the SFO case team and whoever it is at your end managing that relationship will be frequent. Once we've issued the invitation for a DPA then communication takes on its own sort of rhythm, according to the particular needs of the case. To get to this stage, we'll want to understand that we are talking to a company which accepts it has something going on that needs to be put right. We're not going to ask David [SFO director David Green] if he's going to enter into DPA negotiations if the other side says, well actually there's nothing to negotiate about. Step two, when we judge that the investigation has progressed enough to enable us to take a sensible decision and one which is faithful to the Code about entering into DPA negotiations, then we will agree with the lawyers acting for the company about how to manage the process going forward. What we first want to ensure is that we get the statement of facts right. Once the statement of facts is in place it's much easier to work out what follows, including the penalty, because that will flow from the statement of facts. Pollard: Clare, I know you wanted to raise the situation where there could be difficulty for those advising the companies if the SFO imposes restrictions on conducting internal investigations. It may lead companies to a situation where your internal investigation, which would lead to an accurate assessment of the company's risk and of the facts, may well be inhibited by restrictions that the SFO wants to impose on you, so that at an early stage you can find yourself in a difficult situation of not being entirely sure on what factual basis you're going to engage. Montgomery: Yes, that is a very real problem, which I think the SFO is alive to, and it creates a great difficulty for the defence side. The way the pre-DPA process has developed in the hands of the SFO is that a company will be inhibited from conducting its own investigations. So you may well find that the case against the company is based entirely on the SFO's findings. Locating and determining whether or not there is a defence case to answer the SFO's case will depend critically on what people say and the surrounding documents. You may have no idea what an individual's response is, other than possibly a ‘no comment' under caution, which the SFO may share with you, or possibly a section 2 interview where some information is provided, but not much. So you are definitely going to have to think creatively and hard about whether or not you are going to ever be in a position to tell your client that this is a case where a DPA is the only practicable course open to you, partly because there is a clear disconnect and asymmetry between what lawyers think is enough to establish corporate liability and what the SFO thinks. So you also have to contend with that. The second problem is that, once you're in the DPA process, you are not going to know the penalty that could be imposed on the company until much later in the process when the company is already committed. Now I understand completely the purity of Alun [Milford]'s position that he won't talk about numbers until he's agreed the facts with the company, but this places a corporate in an impossible position. That position is made worse by the fact that it is often difficult to calculate the harm figure for DPA offences. Companies will see details emerge in the public domain from decided cases which may help them work out what the harm figure is, but those details won't help them arrive at a definite figure until much more case law has developed. In terms of the relationship with the SFO, this really is a burden that falls on the in-house legal team and on the solicitors. The Bar hates this process because it has nothing to do other than try and spar with the SFO's counsel in court. What's interesting is that at the end of a DPA the solicitors love each other and the barristers hate each other because all they want to do is fight. So the other lesson is that companies have to keep counsel under control because this is a cooperative process and you have to end up with a package everyone is happy with, in front of the court. Milford: We've been talking about numbers and yes, we have to get the numbers right, but this isn't a commercial negotiation. When we go to court to get the judge's approval on the agreement we have reached, it's not a reflection of negotiating positions but rather a reflection on an agreement that has been reached under UK sentencing laws, and we have to get somewhere within the appropriate range. More DPAs will lead to more case law on this subject. Once that happens everyone will approach the discussions with a really good feeling of where it will all end up. In terms of corporate liability, it's important to be clear about how each party sees liability in each specific case. It's a fundamental part of the DPA process and it's probably no coincidence that the Bribery Act was passed before the Crime and Courts Act establishing a clear statutory basis for corporate liability in corruption cases first before dealing with specific offences. Cogman: Another point which I think is interesting is that we're beginning to get a bit of a body of case law on the DPAs side of the fence, but what we're really lacking is the comparator. It seems to me that if we have more cases where there is a conviction and it is an extended period of conduct where the conduct is egregious and there is a higher sentence, then you might start to see more of a delta between the conviction cases and the DPA cases and that would suddenly make the DPA start to look somewhat more attractive. Montgomery: I'm not sure about that because the problem is always going to be arriving at the harm figure. On a DPA it is possible to include wide-ranging cases with multiple harm calculations. In a trial context you're very unlikely to be able to have the widespread case which allows multiple harms to form part of the calculation, particularly where you've got a corporate that may be involved in a number of offences. Cogman: I suppose on the other side of the coin, then, is that if you start to see convictions where the penalties are lower then, it will really undermine the DPA process. But I think that the lack of certainty will affect the question of whether or not to go for a DPA. Once we're clear either way it will affect the number of companies that self-report wrongdoing. 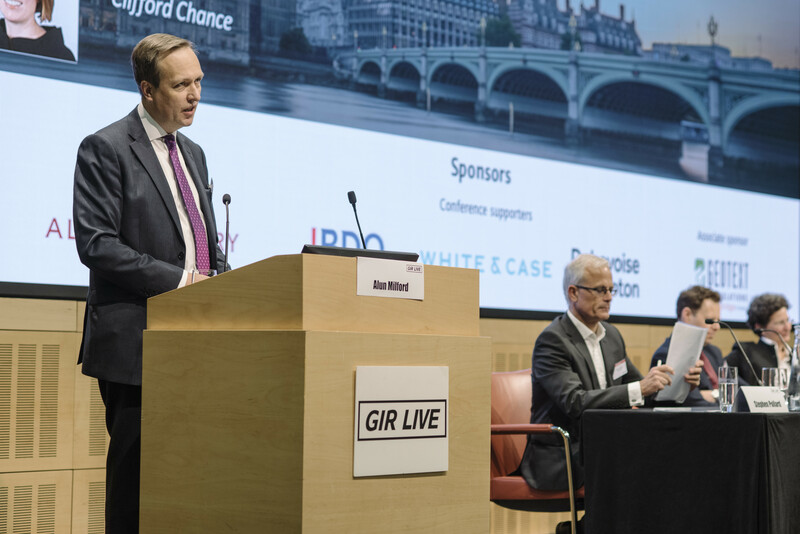 John Binns at BCL Solicitors: I'm interested in Alun's point about trust and the relationship and the kind of conversation that happens between defence lawyers and the SFO in this relatively new scenario. I'm concerned at the idea that adversarial might somehow be a dirty word, because we are still in a position where the two sides have different, opposing interests and we are still in a position where we're in an adversarial area of law, we are talking about a prosecution, albeit a deferred one. Given those opposing interests, given that framework, to what extent can the interests of the corporate and the interests of the SFO converge? Milford: I didn't say that adversarial was a dirty word at all. I've got no difficulty with people doing the best job they possibly can for their clients in the context of an adversarial system - that's our system of justice and it works just fine. What I'm saying to you is that you need a different gear if you are going to engage with us constructively for a protracted period. Plainly as lawyers you have a number of issues to take into account when doing that and when advising your client on how its interests are best served. If you and your client decide that your clients' best interests are served by engaging with us constructively and by offering co-operation, then we would invite you to make sure that you change gear with us from adversarial to constructive. Binns: The two aren't mutually exclusive. A company can co-operate in an adversarial context and you can have an assertive defence lawyer who is coming to you saying my company's interests are in cooperating with you and having a conversation with you. I hope there can be consensus on that. Milford: I'm not sure. Plainly, if it is a negotiation, people are allowed to make points both ways. It's about the mood you create, it's about the trust you are able to build. Montgomery: I do think you can still make robust points. I think what Alun is saying is that at the core level of cooperation the facts are what they are. You can argue about what they mean and you can have a robust disagreement about what the result is in terms of the harm figure or corporate liability figure because in the end you are trying to reach an agreement which the judge will recognise is both legally and factually sound, but what you can't do is try and move the goalposts. You have to be absolutely frank with the SFO as to what the facts they've turned up may be. I don't think you can then say: but we're not going to tell you anything about X or Y.
Binns: That's not what I was implying at all. I think what I'm expecting is a conversation, and it can be frank and it can be constructive, whilst still accepting that there are going to be opposing interests in play. Milford: That's the nature of reaching an agreement. What David has spoken about in the past is that sometimes people adopt litigation tactics when talking with us. That's not buying into the process. That's like trying to ride two horses at the same time. You're either in adversarial gear, which is fine, or the cooperative gear, which is also fine. Pollard: Can we turn now to the interests of individuals' as I know a lot of people in the audience represent individuals probably more than corporate. Of course the DPA process is a corporation engaging with the SFO reaching an agreement and an agreed outcome. The SFO has made it clear that a DPA will not prevent them from prosecuting individuals' stating that companies can only act through human beings. However, there is a potential to prejudice individuals in the DPA process, and we've seen attempts to manage that potential prejudice to date. In the case of the XYZ DPA there, the company's name was kept out of the public domain and in Tesco there was anonymisation of individuals, but a very fulsome setting out of the facts. Can the panel offer their views on where we stand and the balance between an effective and open DPA process and protecting the interests of those who either are being prosecuted or who may be prosecuted in the future? Montgomery: The problem for individuals in the DPA process is that everything, up to and including the point of the completion of the paragraph 7 hearing is intended to be secret and not known to the individuals. So the process of negotiation with the prosecutor is obviously, in the ordinary way, secret, as the statutory scheme provides that the paragraph 7 hearing will only be attended by the company and the SFO. So the question for individuals is how they manage that and it seems to me the only safety valve that's available to them is the paragraph 8 hearing - the public hearing, that's then going to follow. That's where they have to concentrate their efforts either in seeking to delay the paragraph 8 hearing, or to seek - as has happened in a number of cases - restrictions to be placed on the reporting on those hearings to prevent potential prejudice. Milford: We want to ensure a fair trial of individuals and the statutory scheme has woven into it a reporting restrictions mechanism. It's an issue that the judge [Sir Brian Leveson, president of the Queen's Bench Division] is very aware of and in Standard Bank the first question he asked was whether there was going to be a prosecution of individuals. Where there have been cases in which there are prosecutions of individuals or prospective prosecutions of individuals, he's very careful about how that process is managed. So for those of you who act for individuals, there is a judge sitting there who is certainly anxious about the interests of justice in the widest sense. Cogman: I think how this issue was dealt with in all the DPAs has been very interesting. I think in a sense Rolls-Royce is perhaps the outlier from that perspective because the statement of facts is so fulsome, and, although there is some anonymisation, it's quite difficult to see how that is not going to be prejudicial to some of the individuals in due course and how that will not be an argument that they will want to run. I appreciate, you know, it's been looked at, this issue has been considered, but I find the outcome slightly surprising. Pollard: Might that be explained by the tension that the court has in that it must explain how the outcome was reached and the only way of doing that is to really give a full factual narrative? Cogman: I suppose it's a question, but I wonder whether there would have been scope to have been less fulsome in some way. But I recognise the conflict. Pollard: A similar sort of prejudice to the individuals arises, particularly in the US where companies effectively say whatever the DOJ requires them to say. In that context it's very hard for individuals' counsel to argue that in fact there has been no criminal misconduct when the company has previously stood up and said we accept there's criminal misconduct and we are willing to pay you a billion dollars in recompense. David Corker: I think there are two opportunities for individuals to take advantage of. The first advantage is to find out whether the SFO has changed its position in an individual's trial before the Crown Court and whether this is different to what the authority would have told [Sir Brian Leveson] in the DPA process months prior. If so, that constitutes an abuse of process and prosecutors cannot present different and conflicting facts to courts. Therefore, counsel acting for individuals need to carefully research exactly how the SFO presented the case in the DPA to see if there is any inconsistency with how they're presenting it subsequently to the Crown Court. And, if there is, there is an abuse there. The other issue is of course about prejudice. A comment from the judge denouncing a company and, by necessary implication, my client, is entirely prejudicial; it's far worse than the press commentary. It's a judge saying about my client, who the jury can work out quite clearly from the statement of facts, acted in a dishonest way. Nothing could be more prejudicial than that. Therefore, there should be no trial. Pollard: You have been warned, Alun. There you are. Milford: We'll argue it out, won't we? When we go back to being adversarial, we'll have the arguments. An audience member: It seems to me that there are three tensions. One is the right of a defendant to plead guilty at the earliest opportunity. The second is the obligations to the market of a listed company and the third is the right of a subsequent defendant to have a fair trial. And being of the old school, I would not like to see that third one be watered down. I just wonder whether there is a process where you could pause private negotiations and pause before the public finds out. Pollard: Let me ask Paul to respond to that, because my suspicion is that high up the corporation's list of priorities is early closure, because the existence of the issue will no doubt be out there. Journalists and others will be constantly asking what's happening, and trials of individuals take an unfeasibly long time both to come on and indeed then to complete. So you would probably be in the situation of needing a pause of, in a trial of any significance, at least two years I would have thought, or around two years. Would a business be likely to conclude that that significantly reduced the attractiveness of the process? Laffan: I think you've led me to the very short answer to that. But I think you've got to make provision in the accounts; there's all sorts of other ancillary issues that have to be considered and disclosed. So, I think most organisations, from what I'm seeing with the issues they deal with - and they're not just criminal issues - they might have ancillary regulatory matters to deal with. There are a lot of other factors that would have to be knitted into that idea, so it doesn't seem to me to be easily workable and frankly undesirable, I think, from the point of view of an organisation that's trying to fix a problem and move on. Montgomery: Just to be technical, the DPA does not involve an admission of guilt; it merely involves an acceptance that the SFO has got a case that it could bring to trial. So, in one sense, if you understand it in its correct legal context, all the judge is saying by approving it is, yes there is a case to answer, which is what a judge has already said in any case against individuals that has not been dismissed. Milford: Just to reassure you: we're old fashioned too; we quite like fair trials as well. There are other ways of delivering it. You don't necessarily need to adjourn off the whole separate piece of proceedings against one individual. Both processes can be managed. Pollard: Presumably we will in due course get some visibility on how the criminal courts deal with the trials of individuals who are connected to the three DPAs that involve prosecutions or potential prosecutions. An audience member: From a company's perspective there is the added problem of what you do with those individuals. Then there is a secondary problem of how those issues may find their way into evidence in those criminal trials, which I'm not sure has been particularly considered. I wondered whether under the Criminal Justice Act, this would be considered reprehensible behaviour. Pollard: I suspect that the internal discipline issues could be relatively easily excluded from any criminal trial and presumably they're pretty confidential by their nature. So, I think that is less likely to create a problem of prejudice. But I do recognise, and I think we all recognise, that, and it's been implicit in what the panel has been saying, that the process of engaging in a potential DPA inevitably inhibits the company from taking steps that it might otherwise take outside of DPA. I've been involved in cases representing individuals where the company's desire to settle has meant that it has refused to advance various other processes. Montgomery: On the other hand, effective remediation may mean the company does have to take a view on continued employment. Cogman: And the FCA [UK Financial Conduct Authority] wants you to take very speedy action against individuals, quite often before you've got to that sense of conclusion. Montgomery: Well, the writing is on the wall. The Supreme Court in Macris said, frankly we don't care if you say bad things about a manager. Pollard: I've been involved in cases where I suspect the company and its advisers have taken a view that it will simply get rid of individuals and worry about employment rights and employment processes way down the line. The company probably perceives that employees aren't a huge issue financially, and, so, fair employment processes are pretty much abandoned and are overtaken by more pressing requirements in the criminal area. To what extent is debarment supplier a very powerful anti-corruption tool? We touched on it earlier on as being a powerful encouragement, frankly, to a company to engage in a DPA process. Should it somehow play a bigger role in the preventative area, or should it play a larger role in the process? Cogman: It's a powerful tool for companies that are involved in public contracting where the risk of debarment will perhaps be more significant than the risk of a fine. Having said that, it sort of depends on how the business is structured, so in a sense it's a bit of a blunt tool, because you may only be able to debar one entity within a group from engaging in public contracts when it's another unit in the group entirely which actually committed the wrongdoing. At the moment, the way the legislation stands stops this from becoming a powerful anti-corruption tool. 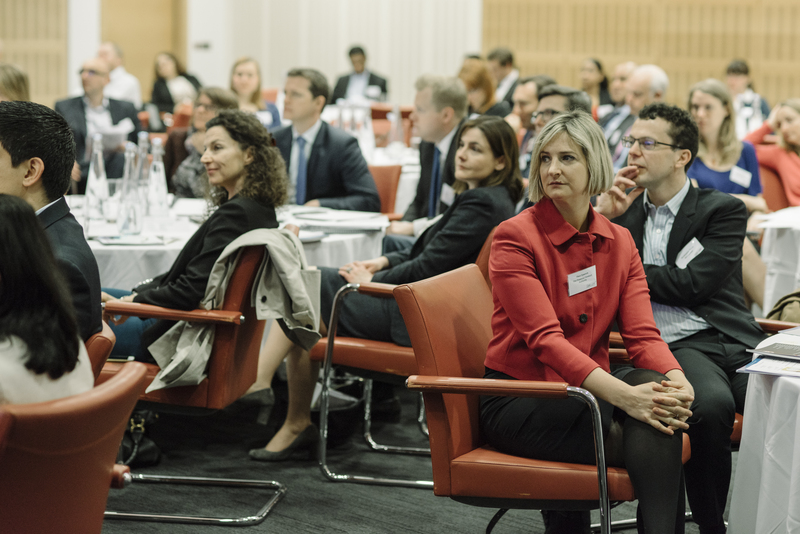 An audience member: I know of one or two clients who want to cooperate with the SFO, but sometimes find it difficult to interpret what's behind some information requests. If it's really all about constructive cooperation, is there a way of getting through a difficult process more efficiently and more quickly? So, I guess my question for the panel, but perhaps Alun to start with you, is what should constructive engagement be from a prosecutor? Milford: Well, if we enter the process, we enter into the process wearing an investigatory hat and we want to pursue our criminal investigation and we don't see it as a prerequisite to our ability to be constructive to give you a running commentary on how the investigation is going or the purposes for which we require the information. And I think you know, plainly companies have to be able to buy into the process, there is that element of trust that we do the right thing and we're going to be treating you fairly. But that doesn't mean that you get a running commentary as we go along.